Since steel reinforcement cost influences structure and buildings’ overall costs, the reduction in weights of components in constructions is important to reduce steel reinforcement usage. The materials, being used for construction, have direct effects on the total stable mass of a building. Thus, construction materials must provide the optimum necessary values for building’s heat and sound insulation. Nowadays, standards and regulations define the desired values for heat insulation. And these standards, expressing the direct relation between the heat conductivity of construction materials or their composed forms, provide heat comfort of buildings. All these relative values change depending on the materials’ structural properties and specific heat capacity. Lightweight Expanded Clay Aggregate (LECA) or Expanded Clay Aggregate (ECA) is a round pellet structure produced by firing natural clay at temperature of 1200°C. The result is a hard, honeycombed structure of interconnecting voids within the aggregate providing good insulating properties. Thermal conductivity coefficient for Lightweight Expanded Clay Aggregate (LECA) or Expanded Clay Aggregate (ECA) is about 0.09 < < 0.101 and for LECA concrete is 0.208 w/mc with density of 800 kg/m3. The results have been tested for the high quality for insulating feature of ECA or LECA products. Lightweight Expanded Clay Aggregate (LECA) or Expanded Clay Aggregate (ECA) blocks are prefabricated elements, made of lightweight concrete on the basis of Lightweight Expanded Clay Aggregate (LECA) or Expanded Clay Aggregate (ECA) mixed with cement, sand and water, and produced in rotary kiln at about 1200°C. 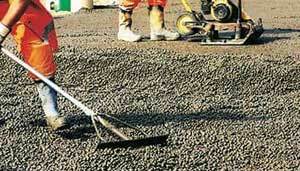 Using of Lightweight Expanded Clay Aggregate (LECA) or Expanded Clay Aggregate (ECA) aggregate results in decreasing the concrete density. Due to its lightness and structure, the material has good thermal and acoustic insulation and fire-proofed stability. It is therefore used mainly in the construction of basement walls, floors, internal partition walls and ceilings. According to test reports, usage of Lightweight Expanded Clay Aggregate (LECA) or Expanded Clay Aggregate (ECA) on rooftop can easily reduce the room temperate close to 11 degrees Centigrade which is around 52 degrees Fahrenheit thus making the use of airconditioning sytem or air cooling system even during peak summer redundant.